Entering into the last few days of this series and I have two quite different posts for you today. One, from Bernadete Maycock, that talks about the pressures that we can put on ourselves and how she plans to tackle them this year. My second post is from PA. Davies and is quite simply inspirational and encouraging in equal measures. I hope you enjoy reading them as much I did. When I got to this year I had one simple resolution-get back to being myself. That’s the myself I was before I got confused with whether I was a blogger or an author and had no idea what I should be spending time on. There was a time when I had simply designated days and times for everything including time off but then I began to feel ‘The Pressure’- pressure of keeping up with other bloggers and other authors, to read quicker, blog more often, write a higher word count and get more books out. As a result all that happened was that everything went kablooey and stalled and suddenly I found I was having both reading and writing blocks as I sat at night, trying to figure out what I should be working on. As a result for this year I’m keeping it simple, read when I want to so I can properly ingest and adore what I read, blog twice a week and get back to enjoying writing, Goodreads, my lovely social media pals on Carmel Harrington’s Imagine, Write, Inspire, an online writing group of which I am a very proud member, and also the brilliant bookish readers, writers and bloggers on Twitter and Facebook. Hopefully it works! At present I’m on edits of the first book of a chick lit series about a lottery winner in the small town of Abbeyglen, who doesn’t quite know when or how to stop helping people, and after that I will be continuing work on book 2 of the series, where a not so welcome ex-Abbeyglener returns and sets about returning things back to the way they used to be. There will of course be comedy and romance in equal doses! Anyhoo, that’s me, I have to say thanks so much for having me, Sandra, was lovely to be able to drop by and I look forward to hearing what other people are up to this year! 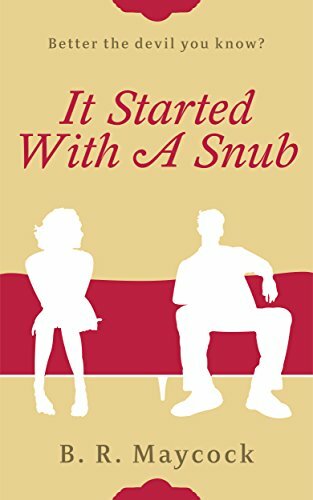 When Bernadette Maycock (BRMaycock) isn’t dreaming up vibrant leads for romantic comedies, she’s ingesting books for her blog, in particular chick lit (her first love! ), romantic comedies and thrillers. Bernadette is now working on a three part romantic comedy series about AbbeyGlen Village. 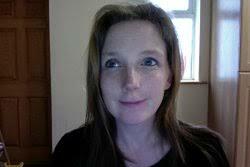 She lives in Co. Westmeath, Ireland with her brilliantly out there husband, Keith, and their four amazing little men. HEATHER GREEN is a fun loving, happy go lucky, twenty-six year old who has remained upright and beaming despite a few wobbles in life. She wears her heart on her sleeve and pins on her thoughts for good measure. We meet Heather as she moves out of her family home to share with four guys, much to the dismay of her long suffering (by his own admission!) boyfriend Graham. We follow her housemates and watch their sometimes funny, sometimes-fraught relationships as they go about their daily lives. Join Heather as she navigates the simple things in life, her inability to remember the code for the house alarm, odd driving habits, general musings on chick flicks, casualties in cooking, as well as her attempts to talk down the “mad farmer with the gun.” Experience comedy and drama as we get to know her family and housemates, and, as an unexpected event finally takes her down, learn what happens when the last people you expected to turn to are actually the ones you need the most. 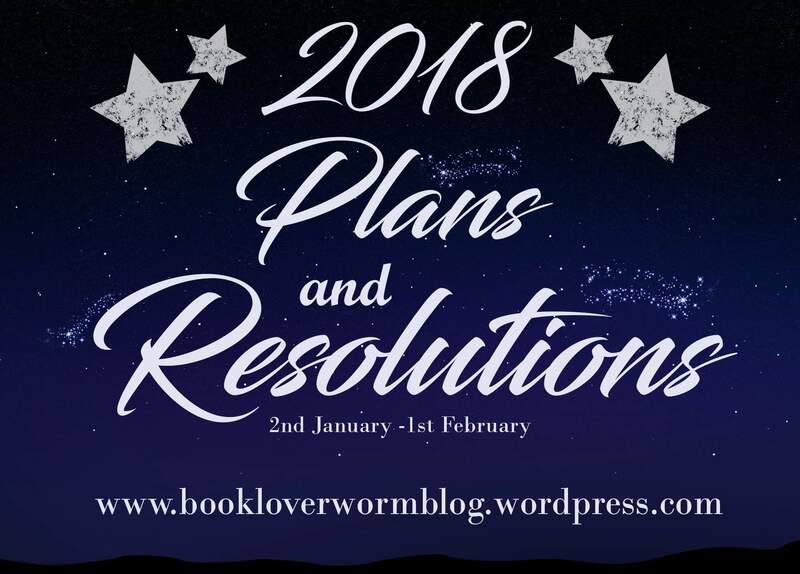 Before I impart my literary plans for 2018, I feel that I should share – in the briefest way I can – events that have occurred in 2016/2017: events that almost made me lay down my creative pen and leave it there forever! Unfortunately, I have to date been through 16 months of medical treatment that has resulted in me reaching an all time low, fighting not only the excruciating pain of a physical injury but the onset of depression too. Before – and part way into this period of my life – writing seemed the only escape from my angst and starting a new novel (or so I thought) would be the perfect remedy with which to mask and forget about, my troubles. However, the increase in my pain – and the subsequent continuance of my mental imbalance – hindered that one pleasure so much so, that I decided to call time on writing and thus leave my novel half completed. If truth were told, I also considered the option to call time on everything else too. Thankfully for me though, this latter consideration was quickly erased by the unprecedented love, patience and support of a few cherished people, all of whom I am truly grateful to and humbled by their selflessness. This prequel to my plans for 2018 is not a means from which I wish to evoke sorrow or gain sympathy, it is told in earnest to convey to all those people out there who might be feeling down – and at times, alone – that that there is always somebody that can and will help you through it. There is always another way forward and believe it or not, there IS light at the end of that metaphorical dark tunnel. Had it not been for a handful of certain people in my life, I probably wouldn’t have had a great deal to plan for in 2018: literary speaking or otherwise. 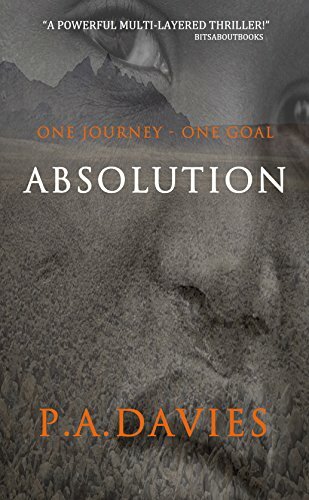 But, their encouragement and help – coupled with an uncanny belief in both my writing and me – has not only been incredible, but the reason why I eventually found the strength to finish my novel Absolution and get it published in October 2017. It is also the reason that I now find the strength to look forward to 2018 and – despite still undergoing medical treatment – focus on what I would feel totally lost without; storytelling. After all, how else am I to use this bizarre imagination that I have been blessed with if not for writing? And to those who made this newfound focus possible, I thank you all. You know who you are and you know how endless my gratitude really is. And so, onto 2018 and what I currently have in my sights. Well, despite an obvious sequel to Absolution needing to be written, I have made the decision to put that particular need on hold for a while and concentrate on a novel that I am currently doing research for. Initially entitled I Muslim, the novel will be a controversial and hard-hitting story of misguided prejudice and racism, set against the backdrop of an actual and horrific event that occurred in the UK. For me, it will be pushing certain boundaries, challenging not only my writing ability but also my own morality and beliefs. I am both nervous and excited to start this novel and only hope that I can do the subject matter a decent service … we shall see. In other news, my second novel – George: A gentleman of the road – is at the early stages of being made into a film and is currently with an American scriptwriter. I’m looking forward to see how this project develops and hope, like I do with my next book, that they are able to do George a decent service and capture his true spirit. So, that’s what happening for me in 2018 up to now, but who knows what other adventures may come along? I only hope that they are exciting. For updates on my writing and other stuff – or to find out more about any of my published novels – please visit and/or follow me at the sites below. I hope you all have a safe 2018 … and beyond. Soldiers of the SFL committed untold atrocities in that small farming village, before finally razing it to the ground. From a line of terrified children, boys were chosen to become recruits of the Militia, whilst girls were taken for selling within a market of odious buyers. Those who weren’t selected were either left to perish or murdered where they stood. But now – tortured by grief, consumed with shame and driven by guilt – Jada must embark on a long & arduous journey to rescue his sister from a sinister world and earn his absolution…or die trying!